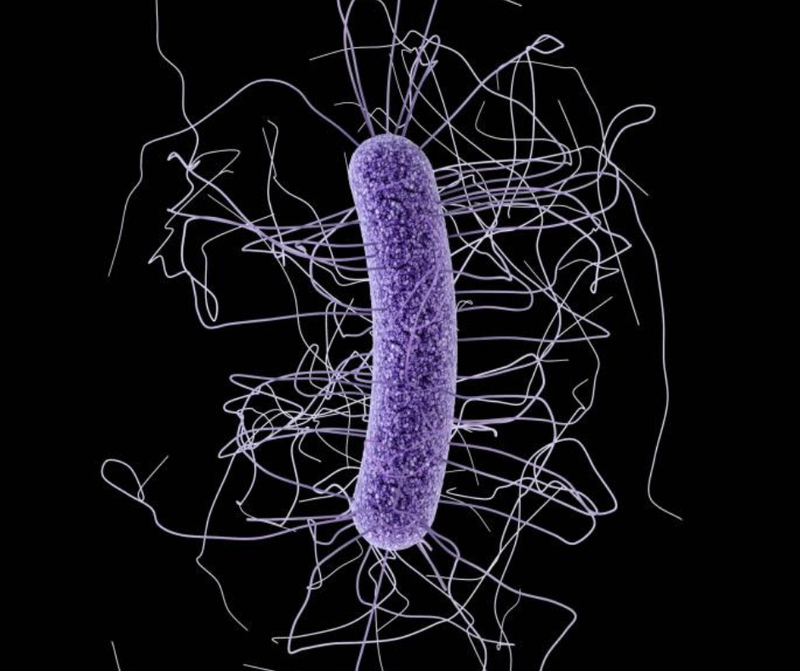 An image of C. dificile bacterium, based on photomicrographic data. (Centers for Disease Control). Antibiotic resistance — when bacteria are untreatable by current antibiotics — is a growing public health concern. To reduce antibiotic resistance, prescribers use antibiotics only when necessary. In hospital settings, experts called antibiotic stewards monitor trends in resistance, prescribing, costs and adverse effects. Prescribing trends are compared to current treatment guidelines. Stewards in an antibiotic stewardship have a goal to “enhance patient health outcomes, reducing resistance to antibiotics, and decreasing unnecessary costs,” according to the Society of Healthcare Epidemiology of America. In 2015, about 269 million antibiotic prescriptions were dispensed in outpatient settings — at least 30 percent of which were unnecessary, according to the U.S. Centers for Disease Control. Unnecessary treatment of antibiotics can increase the risk of side effects or opportunistic infections such as C. difficile. Settings with high volumes of antibiotics being prescribed would benefit from an antibiotic stewardship program to prevent side effects and opportunistic infection. The faculty members’ first focus targets the prescribing trends of uncomplicated urinary-tract infections, or UTIs. Bucheit, Pakyz and Salgado are developing an antibiogram — a profile of antibiotic susceptibility for a specific practice site — based on prescribing trends from the past two years. The antibiogram will provide information about which antibiotics are providing beneficial therapy to patients based on the clinic’s antibiotic susceptibility to resistant or nonresistant bacteria. This antibiogram will then be compared with current therapy guidelines to develop clinic specific guidelines for practitioners to use at the clinic. The project was made possible by a grant from the VCU School of Pharmacy’s Center for Pharmacy Practice Innovation. After the guideline is developed, Bucheit, Pakyz, Salgado and their team will educate the staff and reevaluate in a year. The goal of this project is to provide prescriber education and improve patient health outcomes in a setting where high volumes of antibiotics are prescribed. “The heart is a muscle,” Van Tassell said. Like other muscles, when inflamed it becomes swollen and difficult to move. Swelling could have major effects on the heart’s ability to pump blood and could result in heart failure and death. Congratulations to the following faculty members on their promotions, effective July 1st, 2018. 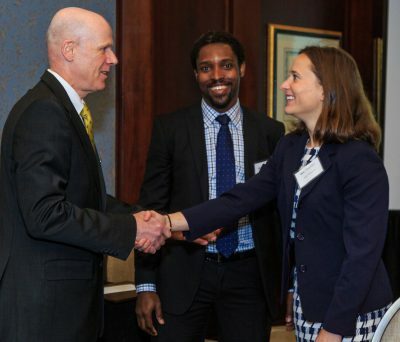 The promotions were approved by the VCU Board of Visitors at its most recent meeting. Dr. Karolina Aberg has been promoted to associate professor in the Department of Pharmaceutics. Dr. Krista Donohoe has been promoted to associate professor in the Department of Pharmacotherapy and Outcomes Science. Dr. Keith Ellis has been promoted to associate professor in the Department of Medicinal Chemistry. He has also been awarded tenure. Dr. Emily Peron has been promoted to associate professor in the Department of Pharmacotherapy and Outcomes Science. Dr. Masahiro Sakagami has been promoted to professor with tenure in the Department of Pharmaceutics. We are pleased that Louie A. Correa is joining us in June as the the school’s senior director of development. He first joined VCU in 2015 as associate director of development for VCUArts. Learn more about him in this Q&A. Thanks for agreeing to do this! Let’s start with the big picture. What draws you to development as a career? CORREA: I started in nonprofit management and like most development professionals stumbled into this field. I quickly fell in love with being able to visit with supporters and connect them to the causes they are passionate about. I enjoy hearing about their interests and strategizing to find the place where their interests best serve the institution. What personal values do you draw on in your life and work? And how do you see those values fitting with those of VCU and the School of Pharmacy? CORREA: I have a passion for higher education and our students. These are transformative years in their lives and we get to be a part of setting them on a course for future success. I want to do all I can to ensure cost isn’t a barrier to a great education and I want to ensure cost isn’t a barrier for the School of Pharmacy to have the very best faculty and programs. I love the grit I have seen from VCU students. They are often nontraditional, hard-working, self-made type people and I aim to be just as gritty in working to ensure they have the resources they need to receive a great education! What should people know about your background and what brought you here? CORREA: I am a Midwesterner, but married a Richmond woman in 2010. We moved here to be closer to family when we decided we wanted to start a family of our own. We have a 2-year-old daughter, Madison, and an 11-year-old puggle named Rex. I got to know a lot of pharmaceutical companies through my work as CEO of The Brandon Marshall Foundation (now called Project 375) where we worked toward promoting positive mental health and de-stigmatizing mental illness. In my spare time (which is confined to my daughter’s sleeping hours) I enjoy exercising, television/film (specifically documentaries), and sports. Tell us something people might not know about you on the first meeting. CORREA: I have a robust catalog of dad jokes! Favorite Sport/team/hobby: VCU Rams basketball! 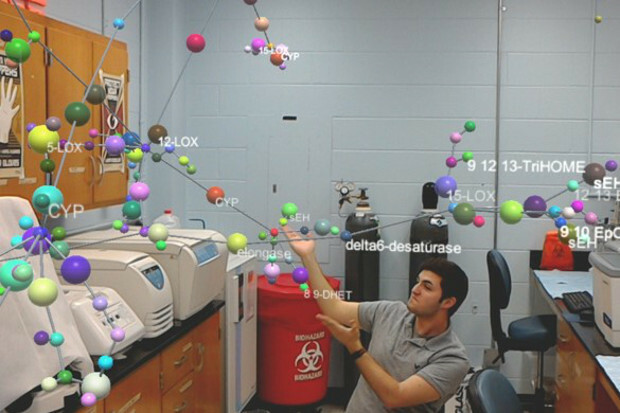 View through the eyes of a student wearing a Microsoft HoloLens AR platform to utilize software developed in the lab of Shanaka “Dayanjan” Wijesinghe. The technology has research and medical applications. The practical uses for augmented reality — which superimposes digital information onto real world surroundings — seem endless. Technologists have envisioned futuristic applications such as glasses that allow wearers to visualize turn-by-turn navigation in real time and immersive gaming headsets. Recently, scientists have focused on harnessing the technology for intellectual pursuits. Virginia Commonwealth University researchers are leading utilization of AR for medical and research purposes. An interdisciplinary team of faculty and students led by Dayanjan “Shanaka” Wijesinghe Ph.D., assistant professor in the department of Pharmacotherapy and Outcomes Sciences in the School of Pharmacy, is developing augmented reality platforms that could improve surgical approaches, refine personalized medicine and serve as a research tool. The Med-AR program, which is optimized for the Microsoft HoloLens AR platform, renders 3-D models of CT and MRI scans, and allows users to interact digitally. In February, VCU Medical Center surgeons used the application to prepare for two complex cardiac surgeries. Another version of the program is frequently employed to create 3-D models of complex biochemical networks for scientific research. Augmented reality shows a cardiovascular system from a real patient as if it were floating in the air. Different structures such as bones and organs can be made invisible or visible with voice or hand controls. In many respects, the AR application surpasses detailed 2-D medical imaging in its ability to offer surgeons realistic presentations of anatomy, said Dan Tang, M.D., the Richard R. Lower professor in cardiovascular surgery in the VCU School of Medicine. Tang is the surgical director of heart transplantation and mechanical circulatory support. He and his team recently donned headsets to prepare for two surgeries, one to mend a central portion of the heart and the other to repair leaks around two artificial valves. The surgeons used 3-D reconstructions of CT scans generated by Med-AR to view areas of concern in the way they would appear on the operating table. Programmed verbal commands allowed the surgeons to rotate the models, move them and cause some parts to go transparent to view hidden anatomy. Tang expects the technology to improve alongside that of medical imaging and AR hardware. The majority of this information is still displayed in 2-D slices, and 3-D reconstructions of the images require further development. 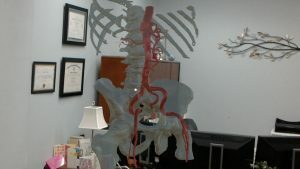 However, the VCU teams’ interactive, 3-D models present an intuitive imaging platform that surgeons can use to plan operations, and as a tool to educate patients on their disease process. Wijesinghe envisions more ambitious surgical applications for the technology. His lab is working to develop an experience that is shared in real time between users during surgery and remote users, with the option of video and voice recording. Eventually, he aims to expand the software to overlie scaled 1-to-1 images on top of the operative field to provide supplemental information in real time. Wijesinghe and Tang also collaborated with Vig Kasirajan, M.D., the Stuart McGuire professor and VCU Department of Surgery chair; Alex Valadka, M.D., professor and VCU Department of Neurosurgery chair; and the VCU da Vinci Center to perfect the technology. The research initiative stemmed from the need to understand biochemical pathways and interactions. This helps scientists explain and predict cellular functions that impact biological mechanisms such as disease progression and metabolism. Biochemical networks, which are graphs scientists use to visualize biochemical interactions, provide the key to understanding biochemical pathways. Data points called nodes represent molecules such as enzymes or metabolites. Lines drawn between the nodes define how the molecules interact. Biochemical networks allow scientists to see the bigger picture but they take up an enormous amount of space when displayed in 2-D, which makes AR’s 3-D capabilities convenient. The system has some similarities to existing technologies, Wijesinghe said, but costs much less and is much more portable. Wijesinghe’s next steps are to apply the AR technology’s biochemical network visualization capabilities to personalized medicine. The goal would be to visualize the effect of drug interactions on biological mechanisms within a patient profile. For example, a scientist could use the technology to visualize a drug’s ability to improve an individual’s metabolism. Biological indices would be obtained from the patient to create the biochemical network, and drug molecules and metabolites would be represented by nodes. Scientists would use various visual aids, such as affected nodes going dark, to predict drug interactions. Read this story at VCU News. If fall is approaching, it must be time to recognize VCU employees for their service to the university! This year, 18 School of Pharmacy employees will be honored for a total of 190 years of service to VCU. The 20-year employees – Don Brophy, Chris Garland, Mike Hindle, Michelle Rhea and Martin Safo — represent all three of the school’s academic departments as well as the dean’s office. The 46th annual Service Awards Ceremony and Reception — for VCU faculty and staff with five to 55 years of service (in five-year increments) — will take place 3-5 p.m. Oct. 4 at the Siegel Center, 1200 W. Broad St. Invitations will be mailed to honorees in late August. For those who wish to attend the ceremony, shuttles will be available from the MCV Campus to the Siegel Center and back (details to come). Following are the 2017 School of Pharmacy honorees. Some have not been at the school the entire time but previously worked for other university units. Congratulations to all! As an aside … 18 employees universitywide will be recognized this year for an impressive 45 years of service each, including William Dewey (Department of Pharmacology and Toxicology, School of Medicine), with whom many School of Pharmacy faculty have worked over the years. 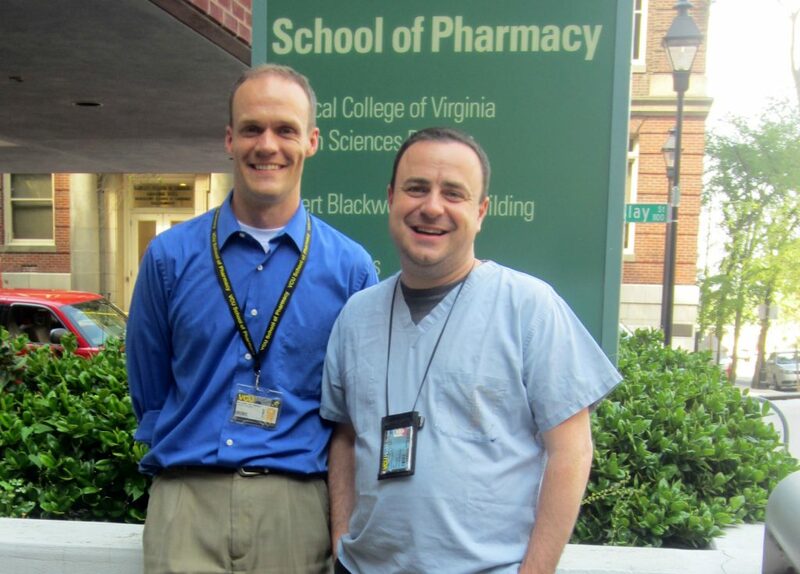 Members of the VCU School of Pharmacy Pharm.D. class of 2017 were honored during the annual Senior Awards Banquet, which took place May 12 at the Hilton Richmond Hotel & Spa at Short Pump. Awards were presented by Dean Joseph T. DiPiro and K.C. Ogbonna, associate dean for admissions and student services, with the assistance of Ron Ballentine, assistant director of admissions and student services. SOP alumnus Ken Kolb (Pharm.D. ’82), welcomed class members as the school’s newest alumni. Class of 2017 members of academic honor societies Rho Chi and Phi Lambda Sigma were recognized as well as class and student body leaders. 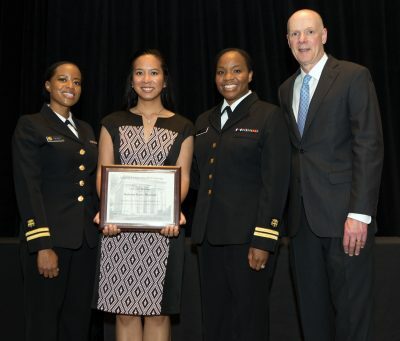 The school’s annual Pharmaceutical Sciences Graduate Awards Luncheon took place May 25 at Omni Richmond Hotel. SOP alumna Kellie Schoolar Reynolds (Pharm.D. ’92) addressed “Decision Points on Your Career Path.” She is deputy director of the Division of Clinical Pharmacology IV in the Office of Clinical Pharmacology, Center for Drug Evaluation and Research, FDA. VCU School of Pharmacy alumna Kellie Schoolar Reynolds (Pharm.D. ’92) will be inducted as president of the American Society for Clinical Pharmacology and Therapeutics during its 2017 Annual Meeting March 15-18 in Washington. ASCPT notes that as deputy director of the Division of Clinical Pharmacology IV at the Food and Drug Administration’s Center for Drug Evaluation and Research, Reynolds plays a leading role in the development and regulatory review of anti-infectives, antivirals, immunosuppressants and ophthalmology drug products as well as counterterrorism drug products. She has long studied the pharmacokinetics and pharmacodynamics of these treatments and their potential for drug interactions. Reynolds has been with the FDA since 1994. At CDER, she works with the Renal Impairment Working Group, the Antibiotic Drug Development Task Force and the Drug Interaction Working Group. Her research and practical guidance on the management of drug interactions has been published in various peer-reviewed journals and books, and she has made more than 30 presentations at professional meetings. She has worked closely with undergraduate pharmacy students and fellows, particularly in the areas of career development and transition. 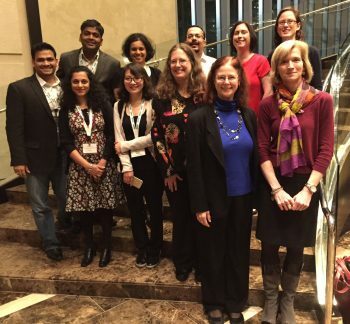 Kellie Schoolar Reynolds (front row, right) joined VCU School of Pharmacy students and fellow alumni for dinner during the 2015 ASCPT Annual Meeting in New Orleans. An ASCPT member for eight years, she was appointed to its board of directors in 2014. She has been involved in numerous society activities, including its By-Laws Committee, Strategic Planning Task Force, Clinical and Translational Science Steering and Search Committee and Mentoring Task Force. She also has chaired the Drug Development and Regulatory Scientific Section and Scientific Program Committee. She served as an associate editor for Clinical Pharmacology & Therapeutics for six years and was an editorial board member. Reynolds earned her bachelor’s degree in biochemistry at Virginia Tech. 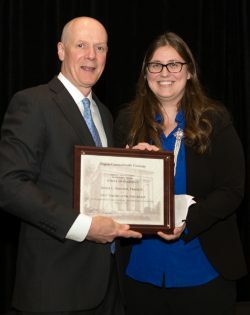 Following graduation from VCU School of Pharmacy, she completed a clinical pharmacokinetics and drug development fellowship at University of North Carolina at Chapel Hill. Established in 1900, ASCPT now has more than 2,200 members committed to advancing the science and practice of translational medicine, building on a foundation of clinical pharmacology and therapeutics. Kelechi C. “K.C.” Ogbonna has been named associate dean for admissions and student services by Virginia Commonwealth University School of Pharmacy, effective Nov. 15. Ogbonna joined the School of Pharmacy in 2012 as an assistant professor in the Department of Pharmacotherapy and Outcomes Science. Since last year, he also has served as director of the school’s newly established PGY2 Geriatric Residency Program, one of fewer than 20 such residencies available nationwide. 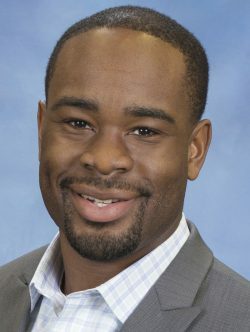 Prior to his arrival at VCU, he served as an adjunct assistant professor at the University of Connecticut School of Pharmacy and as an inpatient staff pharmacist at the VA Connecticut Healthcare System. His work as a co-investigator and core faculty member with the interprofessional Richmond Health & Wellness Program is part of the school’s national award-winning Pharmacist Collaborative Care and Outreach in the Community program. RHWP’s most recent grant, $1.5 million from the federal Health Resources and Services Administration, allowed the program to replicate its original practice model, an on-site wellness clinic for low-income elders residing at Dominion Place in Richmond. The endeavor now has expanded to include five locations. As a faculty preceptor, Ogbonna has worked with more than 100 Pharm.D. students who have participated in RHWP since its 2012 inception. After studying chemistry in the pre-pharmacy program at Fairleigh Dickinson University, he earned his Pharm.D. degree at Massachusetts College of Pharmacy & Health Sciences. 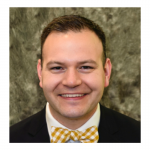 He completed a PGY1 residency in pharmacy practice and a PGY2 residency in geriatrics through the VA Connecticut Healthcare System. In May, Ogbonna will receive a master of science degree in health administration from the VCU School of Allied Health Professions. He is chairman-elect of the American Association of Colleges of Pharmacy’s Geriatric Special Interest Group and immediate past chairman of the American Society of Consultant Pharmacists’ Educational Advisory Committee. The school’s former associate dean for admissions and student services, Thomas P. Reinders, retired in August. His assistant director, Ron Ballentine, has served as interim associate dean. 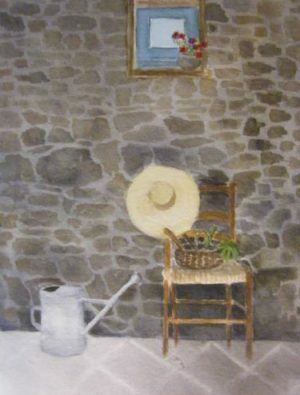 “Garden Respite” by Victor A. Yanchick is among the watercolors available for auction. A select collection of paintings by VCU School of Pharmacy Emeritus Dean Victor Yanchick will be available for auction 5-8 p.m. Oct. 27 at The Valentine, 1015 E. Clay St. in Richmond. Proceeds from sales will go toward pharmacy student scholarships. Lisa Schaffner, director of public relations and marketing for UNOS and former news anchor for WRIC-TV (Channel 8), will serve as auctioneer, bringing her own special energy and sense of fun to the proceedings. Watercolor is Yanchick’s medium of choice; his work includes landscapes, pastoral scenes, still lifes and themes from the American Southwest. He served as dean of the School of Pharmacy from 1996 to 2014. This is his third school-sponsored benefit; a 2012 auction raised nearly $11,000 for student scholarships. Cocktails and hors d’oeuvres will be provided as guests peruse the items for auction and enjoy the musical stylings of third-year pharmacy student and singer/songwriter Kailey Conner. To view a gallery of the works available for auction, click here. If you’d like to make a bid or bids but are unable to attend, please take advantage of our student proxy system. We will make arrangements for a pharmacy student to bid for you on site. To RSVP or to take part in the student proxy system, contact Contact Genna Mirenda, annual fund and donor relations coordinator, at gmirenda@vcu.edu or (804) 828-3531. Admission to the event is free, and parking will be available in the 10th Street lot between Marshall and Clay streets.